Every Tuesday night from 4pm – 6pm, Falls Creek Central (between Elk at Falls and Ripparoo Lodge) is party central for kids and adults alike. 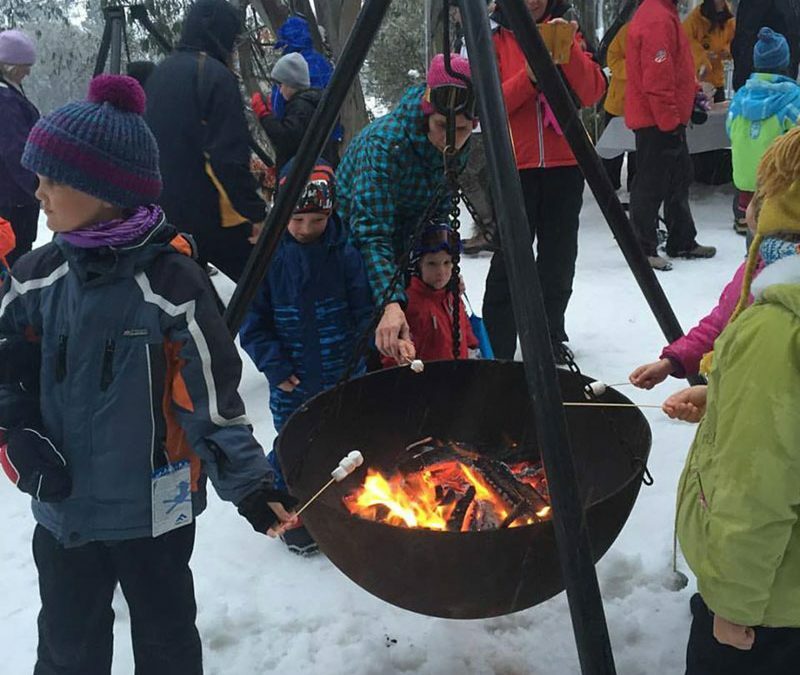 With fire pits, marshmallows, games, samples and more – it is the BEST place to be to get all the info on what is on this week at Falls Creek. Each week there will be featured businesses, activities and events PLUS a big prize giveaway for a lucky winner. Pete the Snowdragon loves the Street party and is always up for a boogie with the kids. Don’t miss out on a great time with Pete in snowy Falls Creek.